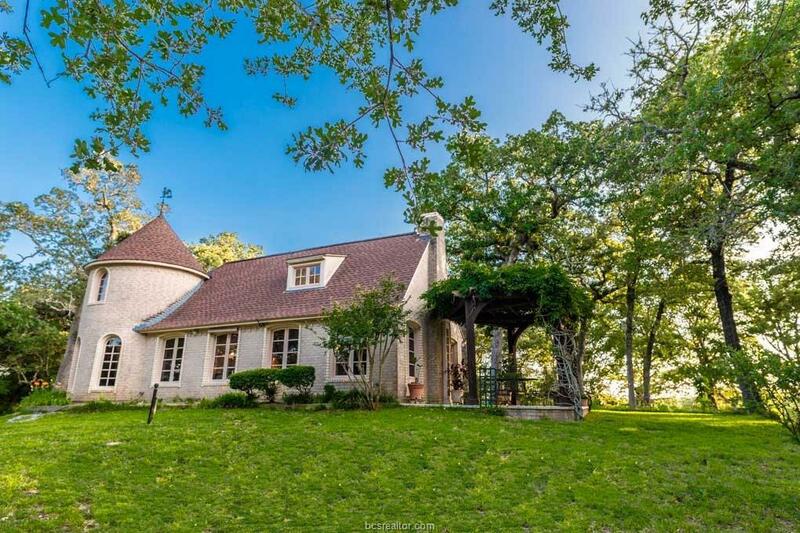 A French Retreat tucked away on a secluded hillside with 42 wooded acres - Heaven on Earth! Built by a master artisan from France - a trained ebeniste' - you've never seen craftmanship like this! At the end of a quiet, county road be transported to the porticos of France. The artistry of handcrafted floor-to-ceiling windows, hand-carved beams & Carrara stone fireplace will amaze. The round turret houses the formal dining room & square tower which is the Louis XVI master retreat all reflect the 18th-century french design. There's also a 3-car garage, garden shed, well house, workshop & storage building along w/ a garden & pond on the property. Just a short drive to this treasure on a hill.